Sound is kind of a big deal when it comes to the human experience. There’s a huge body of research on the strong impact sound has on emotion and memory. In fact, what we hear is far more powerful than what we see in instantly evoking a strong reaction. Who among us can forget the infamous Yanny Or Laurel incident of May 2018? 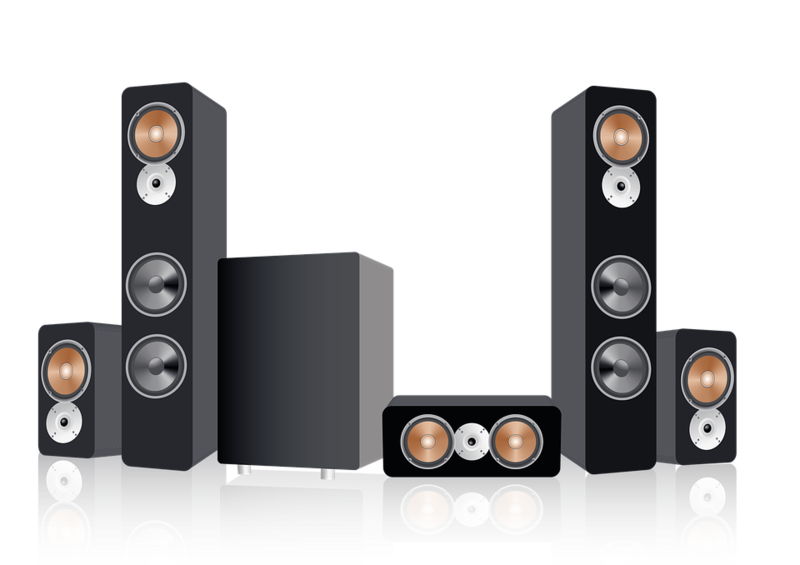 It’s not surprising then that industrious, nerdy types have invested vast amounts of time, research and money into developing better home cinema sound systems. At first, this process was just about building bigger and better speakers, but then this amazing idea known as “surround sound” came along and home cinema would never be the same! Here’s the catch though. Surround sound has to be done right. You can’t just plonk speakers around your room and expect the magic to happen. Nerds On Call can help you with the equipment and onsite installation needed to generate perfect surround sound. We’ll do the difficult stuff so all you have to do is sit back and enjoy it. You can reach us by phone at 1-800-919-6373 or fill out our contact form if you prefer. This article will take you on a journey through another dimension, a dimension not only of sound, but of mind. Your next stop, the … ahem … surround sound zone. Speakers have advanced considerably since those big, boxy monstrosities your dad owned! Surround sound did for home cinema what the Hershey’s peanut butter cup did for the humble peanut. 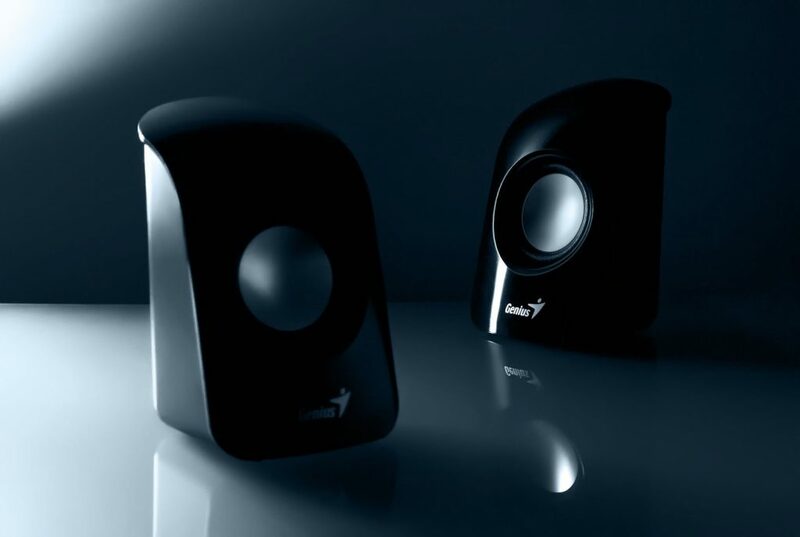 It creates a rich and dynamic experience by essentially building a sphere of sound around the listener. Your sound experience is also carefully crafted, with background sounds coming from behind and action sounds moving around you dynamically. Anything from the delicate sounds of a zombie’s fingernails scratching at the front door to the gut-wobbling boom of a rocket exiting the Earth’s atmosphere are just … well… better with surround sound. Today’s speakers are smaller, lighter and pack a significant punch in comparison to the bulky speakers produced only a few years ago. They also offer significant connectivity options. These days it’s not hard to get hold of speakers with wireless technology and full online connectivity. Very handy to have! Surround sound is actually not one single “thing”. There are several forms and each has its merits. While there are too many technologies, protocols and configurations to go into in this article, what it boils down to is, if you’re in the market for a surround sound system you have quite a few decisions to make. Which one will work best for you depends a great deal on your room layout and what kind of sound experience you’re looking for. If you want all the fun without the hassle, Nerds On Call will be happy to oblige. We’ll make the process easy for you by coming to your home, assessing your room layout and giving you good advice on which surround system will work best for you and your budget. Here’s our number: 1-800-919-6373. Or you can contact us online. We know speakers. We’re aware of what’s on the market and we are all too familiar with speakers and what can go wrong with them. 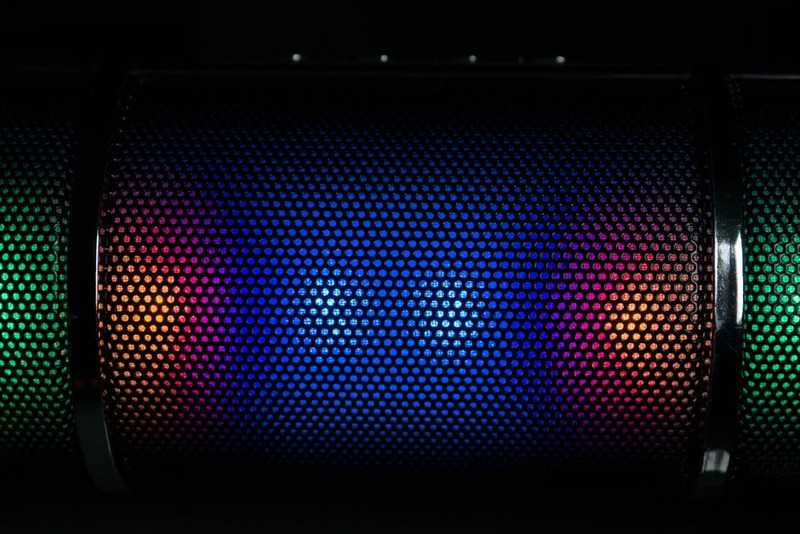 If you need help installing or repairing speakers, we can help. Here’s how. Surround sound is an amazing technology, as dependent on the science of acoustics as it is on technology. That beautiful wall of sound effect doesn’t come without work and simply placing the speakers around your room is unlikely to deliver the full surround sound experience. There are a lot of factors to take into account. The shape of your room, what you have in it and your sitting position in relation to the television will all factor into getting your speaker locations right. Nerds On Call can provide a complete surround sound installation, from soup to nuts. We’ll help you choose the right technology and we’ll get you a great deal. Then we’ll figure out the perfect location of your speakers and perform a complete installation. 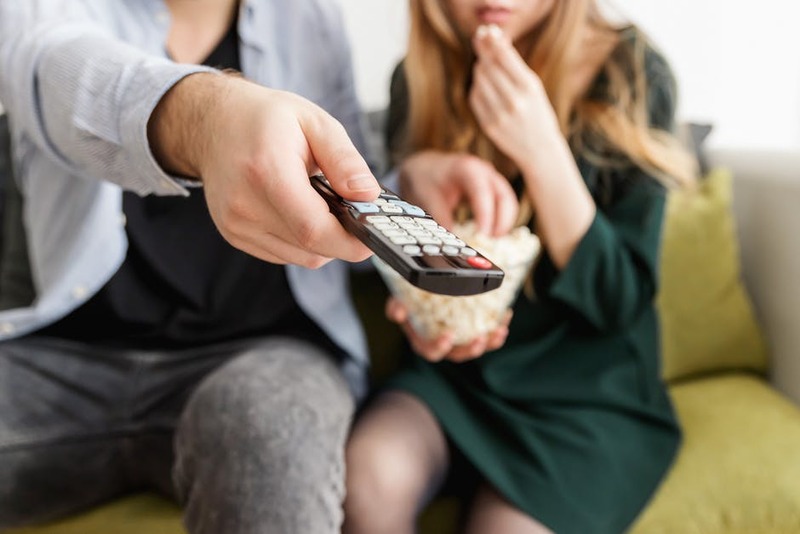 All you have to do is microwave the popcorn and choose which series to binge watch first. Twist our arm and we’ll even help with that … *cough* Stranger Things! Sound suddenly stops or cuts in and out. One of your speaker channels refuses to work. You hear a crackle or other interference through one or more speakers. Cables are damaged or have come loose and you don’t know where they go. You have too many remotes and can’t keep track. All of these issues can be fixed with the right hardware, cables, configurations, and know-how. There’s no need to put up with these problems. We’ll figure out the problem and make it go away. We can also make your home smarter. Surround sound is awesome, but imagine how amazing the whole shebang would be if you could control it with your voice. Or if you could synch music throughout your whole home, all controlled from your smartphone. These options and many more can happen through the integration of smart home technology. This next level nerdery is something we can help you with. If you’d like to learn more, just click here. Hanging out at home to watch a movie or listen to music is one of the great, nerdish pleasures in life. Why settle for old, tinny speakers when you can enjoy a complete, surround sound experience? If you’d like help with your surround sound setup, call us at 1-800-919-6373 or fill out our contact form. We’d love to help out. Can you offer me advice on surround sound over the phone? Well, yes we can. While we can do this, we suggest a home visit. Surround sound is a technology which needs to be adapted to room in which it will be installed. Ideally, we’d come and look at your space and offer tailored advice. I have too many remote controls! Frustrating isn’t it? You get all this cool technology then suddenly you need an entire coffee table devoted to the remote controls. We can help by installing smart home features and bringing all your device controllers together into one unit. I like the idea of surround sound but I don’t want to clutter my room with speakers. Got any suggestions? We can help with that. There are speakers out there with a low profile and there are clever ways of installing them which minimize their intrusion into a room.